Want to see what pages your statistics for each page and post on your website? 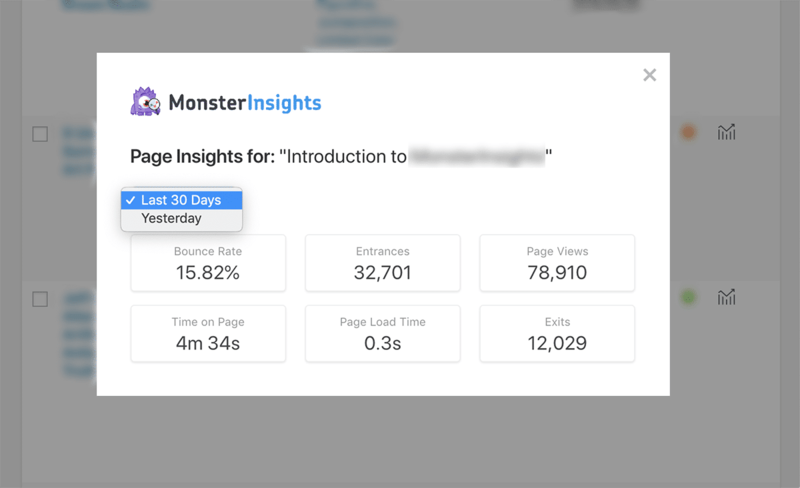 You can with the Page Insights addon. 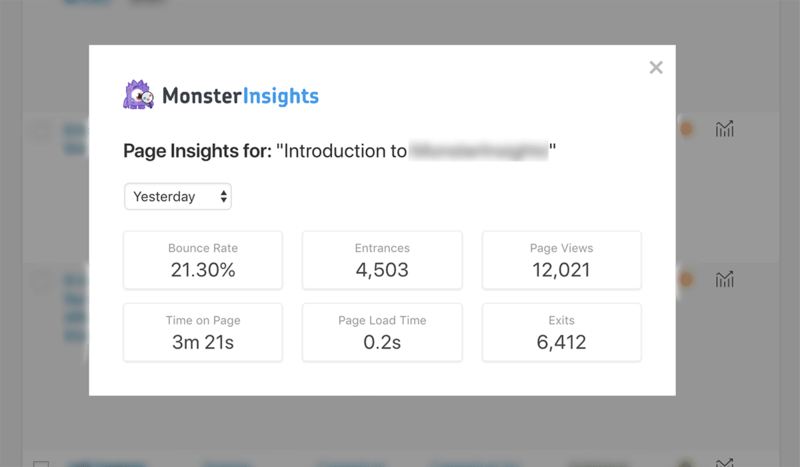 The MonsterInsights Insights addon allows you to see what your visitors are up to for each page and post in the WordPress admin. 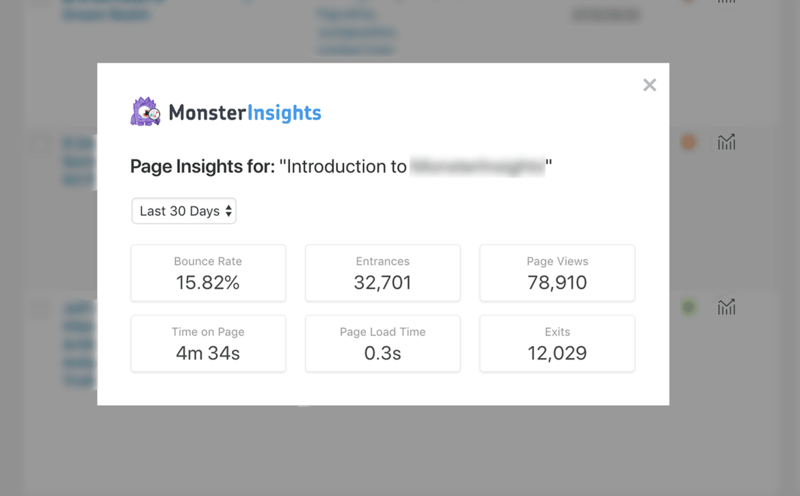 You’ve installed the Page Insights Addon for MonsterInsights. Easily see how individual pages and posts are performing from within WordPress. Knowing the above stats for your individual pages will allow you to see what articles are performing the best, as well as what articles have leaks that will need to be plugged. Step 1: Login to WordPress and navigate to your posts or pages area. Step 3: A window with your stats for the Last 30 Days will appear. Inspect these stats. Step 4: You’ll also see a drop-down selector to view the stats from yesterday. To see yesterday’s stats select this item. Step 5: The stats from yesterday for this page will appear when this item is selected. That’s it! Now you know how to get insights for your individual WordPress pages or posts right inside your WordPress admin. In the next doc in this series, we’ll show you how to take action on this valuable information.